Does attic insulation work in the summer? Many homeowners grapple with this question all too often due to the common assumption that insulation is something which keeps the home warmer in colder months. This is true to some extent, though what insulation does is slow down the movement of heat between 2 layers or spaces. This means during the summer season, the attic insulation will help prevent your home from overheating. To ascertain how insulation is equally effective in both warmer and colder months, let’s first take some time to understand how insulation exactly works. As you probably already know, air acts as an excellent insulator when it is trapped or unable to escape. By trapping little bubbles of air, you can actually create a good insulating effect. And since insulation is all about preventing the transfer of heat, it is of no significance if it is hotter outside than inside or vice versa. Whatever the direction, the warm air won’t be able to escape that barrier, and the attic insulation will successfully do its job. Another compelling reason for installing insulation in the summer months is that it will give the contractor good weather conditions to complete the work promptly. Before going ahead with insulation, make sure to seal the attic bypasses! By attic bypass, we mean any area of the property that may let the air seep through the walls of the attic by bypassing the insulation. Examples are the areas located around chimneys, ceiling light fixtures, heating ducts, bath exhaust fans, plumbing, electrical wires, dropped ceilings and soffits. Attic bypasses are the reasons behind moisture, mould, and frost in the room, and it’s recommended to seal these areas before you go forward with attic insulation. Spray Foam is the best attic insulation method available, from a performance viewpoint. It comes in two types: open-cell and closed-cell, with each having the insulation values of R-3.6 and R-6.5, respectively. When installed properly, both types will fill up all the nooks and corners quite efficiently, thus, creating a great air barrier. With no room left for air movement, you will have zero heat transfer via convection. In closed-cell foam, you’ll also get to have a moisture barrier at more than 2” thickness. You can easily tell a closed-cell foam from the open-cell one just by poking your finger into it. Closed-cell foam is way harder than open-cell that feels relatively softer in touch. A preferred option among builders for newly constructed homes, this type of insulation comes with an R-value of 2.5 per inch. However, one can’t just purchase this material and try to spread it out himself/herself. A special equipment is needed to evenly distribute the loose fiberglass. Research shows that fiberglass loose-fill is one of the best choices when it comes to appropriate attic insulation. With an R-value of approx. 3.5 per inch, cellulose is recommended for its excellent ability to control the air movement. It is produced from recycled paper with boric acid mixed into it to ensure fire resistance and insect control. Although cellulose does not develop an air barrier, it is highly dense which prevents air movement, helping with frost control in the attic. Many professionals favour the idea of utilizing wet-spray cellulose wherein a small amount of water is added in cellulose to reduce the dust and to improve the insulation per inch. It is arguably the easiest method of insulation for any place in your home and ideal for do-it-yourself homeowners. Made of various mineral materials such as Rockwool, you can select the required width and cut the material using a utility knife to fit correctly between the joists. The base R-value of fiberglass batts is 3.2. The performance of attic insulation greatly depends on whether or not it was properly installed. For example, even a minor gap left between studs while installing insulation can keep you from achieving the desired results. The one which is packed too tightly or compressed is just as ineffective. Moreover, it’s also recommended to ensure if the chosen material offers a good amount of fire and pest resistance. 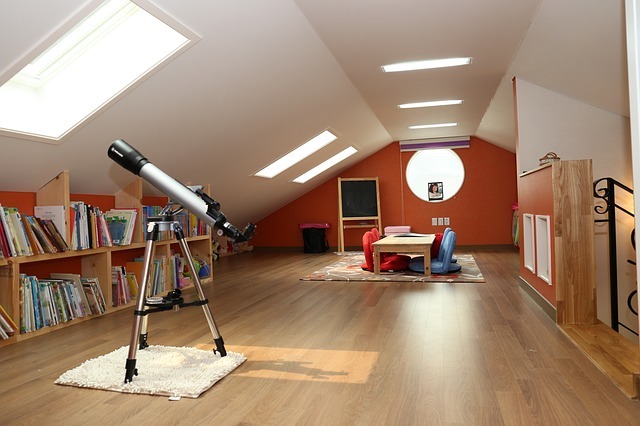 There are umpteen benefits of attic insulation, with reduced heating and cooling bills being the most popular and important ones. Before you decide to go for it, however, it’s always good to know about different options available in the pool, and various factors to ensure the success of your project. Looking for a reliable contractor for your attic insulation needs? Get in touch with Constant Home Comfort professionals today!